Before I created a schedule, I was all over the place when it came to blogging. I worked on my blog at random hours and never had a clear goal of what I wanted to accomplish. It was really difficult finding time to blog, especially when I was just starting out! Aside from this website, I also have a completely separate blog I have had for several years. About a year ago, I made the decision to put that blog on hold because I just couldn't do it all. Moving across the country, starting a new job, figuring out my priorities – I was overwhelmed and there was just too much on my plate! Now that I have gotten into a routine, I am ready to pick back up with my other blog. While it can be difficult working on one blog, I have managed to find a nice balance between both blogs that I am comfortable with. Rebooting my other website is definitely taking up a lot more of my time. I've tasked myself with going back and correcting broken links, improving photos for Pinterest and adding better SEO content. I have hundred of posts to go through and it's a bit overwhelming! I still check emails and use social media daily for both sites, but I limit my time on both. I work best with a schedule and feel more in control when I focus on one website at a time, instead of constantly going back and forth between the two. As much as I love technology, I prefer paper and pen for brainstorming, planning and scheduling. Emily Ley's Simplified Planner is my go to planner. I've been using one of her planners for the past three years and never leave home without it. I also have Le Pens and Washi Tape Kit specifically for this because I have OCD am all about the color coding! One of my favorite resources is the Blog Binder from Just a Girl and Her Blog. Even though I utilize the editorial calendar in wordpress, I like being more hands on with the blog binder. Not only does it have a monthly calendar to help me with planning posts, but I like to jot notes in the different blog sections and topics. The blog binder also includes various checklists I utilize all the time on the (not so fun for me) technical stuff, like weekly and monthly maintenance help, keeping stats from Google Analytics and social media and other handy sheets. One of my favorite podcasts is The Lively Show. The show's creator discussed the importance of the golden hour and it really resonated with me. What is the golden hour? The golden hour is often referred to as the most productive part of someone's day. My golden hours are first thing in the morning, generally between 5am to 8am. I work efficiently and can get through my blog to-do list uninterrupted during this time. I use this schedule when alternating days between both blogs and it has worked really well for me. What is your golden hour? This is great information thanks! Right now I’m struggling with trying to find the balance between blogging and raising my two boys. My husband is so supportive and tries to give me “kid free time” when he can but finding a schedule that works I think is important and something I need to work on! I don’t think people realize how time consuming having a blog can be! My method for planning is old school – a planner/calendar that I can use with sticky notes until everything gels. Thanks Sara, glad you stopped by 🙂 I love my old school planner too! This is very helpful, thanks!! I will say, between freelance writing, blogging and having a family, blogging gets put to the wayside more than I’d like. Most of this is because I do not have a schedule and blog when an idea comes to me and I have the time to write it. I want to create an editorial calendar at least one month in advance to help me stay on track. A planner would also help!! My golden hour currently is when my girls are at daycare – between 8:30am and 11:00am. I used to be so good about getting up earlier than them and I need to get back in that habit!! You definitely have a lot on your plate! I don’t know how you do it all! I totally front load my day and my golden hours are 6-10am for productivity in general, and 7-9 for working out. I almost always have a 3 or 4pm crash and I got to be so early (10, but sometimes I’ve been crashing at 9:30!!). It’s important to recognize your patterns and what works best for you. 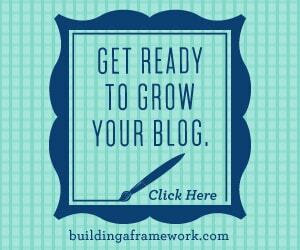 Two blogs is hard to maintain (I’ve tried twice). I love my other once but I can’t see (right now) being able to run both. I do have it on the back burner in case I ever change my mind. I crash early too, which is probably why I am up so stinkin’ early everyday, ha! I really need to add in designated hours for working out and make it more of a habit. Blogging is very time consuming. If you don’t have a schedule and process in place, it can get messy. My golden hour is 8-10am in the morning and 7-8pm in the evening. I would love to get up before I leave for work and do some things on my blog but my body won’t allow me to do that at this time, haha. I am also thinking about setting a timer on my phone to allow me a certain amount of time to complete some tasks but sometimes I catch myself drifting away from my main focus. I’m thinking about using the timer method too – it would probably help speed up my productivity! I just started using a blogging calendar and I wish that I had started sooner. 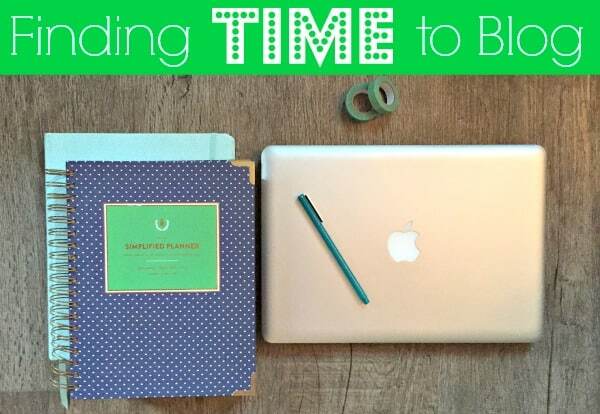 Planning is the secret ingredient to get things done when running a blog. I found that I work better in complete silence so my best time to work is after 7PM my daughters bedtime. Planning is definitely the key! I didn’t even know there was an editorial calendar in wordpress – genius! Keeping up with blogging is also hard for me when life gets in the way, and I use it more of an outlet than and a way to track our progress more than anything, but I definitely want to blog more since I have a ton of ideas swimming around in my head. The calendar is such a great visual reference! I use my blog as an outlet too!